Anthropogenic noise activities in Australia. A bit far, but still quite interesting that seismic surveys are done right in the middle of humpback whales’ migratory route and during the peak of their migratory season. How is this even allowed?? Map of anthropogenic noise activities and strandings in the area. Table 1. Detailed info on anthropogenic noise activities. Table has names of all vessels, type of surveys, what type of equipment. The numbers in km indicate the distance from the survey sites to stranding sites. The distances are approximate as we do not know what routes whales took. The distances are calculated based on straight lines (over land if needed). The distances are for overall reference only. UPDATE 08/24/2012. 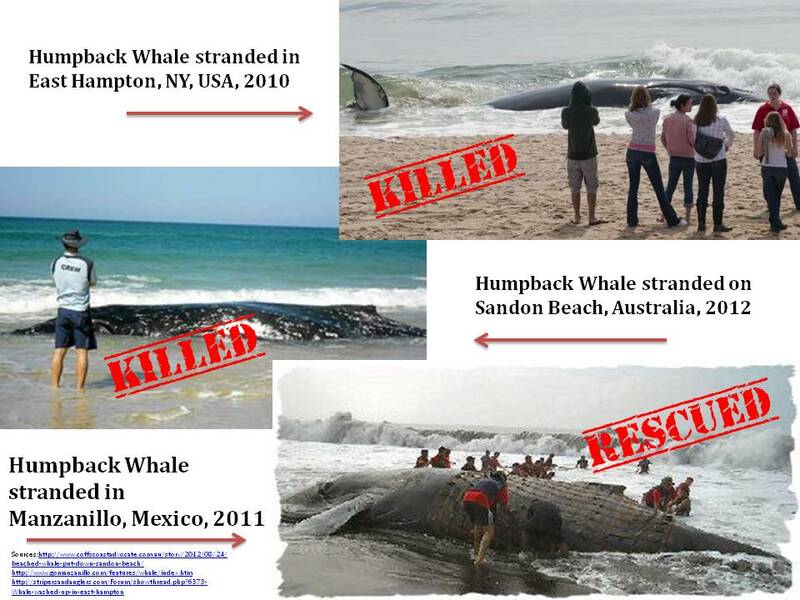 Sad to report but murderous Australian NSW National Parks proceeded with killing that poor whale despite our protests and protests from the members of the public. Typical BS whitewash was given as a reason for this murder (link). Read here how orgs like NSW National Parks and ORRCA misinform the public on regular basis (link). Finally, this is a very poignant meme one of our supporters made. Sometimes indeed images speak louder than any words.